CipherHealth's digital rounding tool, called Orchid, is in use in 300 hospitals. In 2001 the Institute of Medicine reported on the need to close the gaping “quality chasm” in U.S. healthcare. The report stressed the importance of delivering patient-centered care. 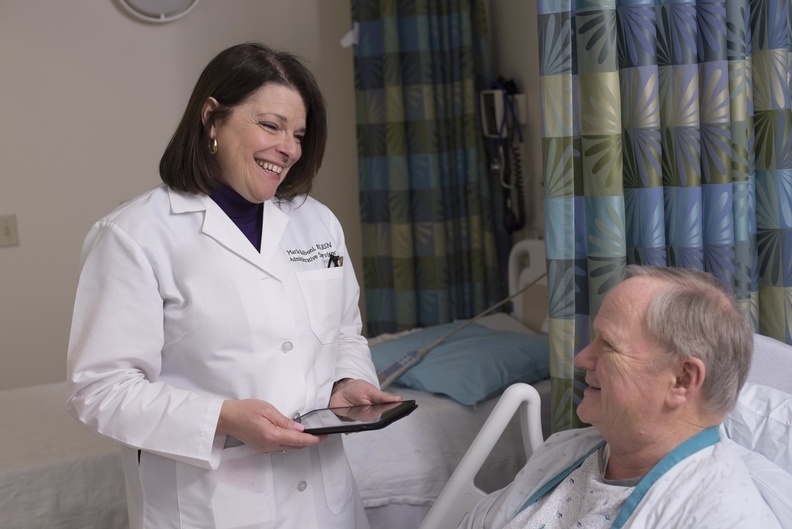 Over the intervening decade-and-a-half, studies have repeatedly shown that a positive patient perception of their experience inside the healthcare system is closely associated with higher quality care, greater safety inside the hospital and better outcomes. Today, every healthcare provider is struggling to lift its patient satisfaction ratings. They know a happy patient is usually a healthier one. Yet caregivers often learn about patient complaints far too late in a hospital stay to affect those perceptions. And that can be costly. Medicare in 2017 will use patient satisfaction scores to determine up to a quarter of the potential 2% penalty—or reward—in its value-based purchasing program. Her team eventually took steps to eliminate that lag. In 2014, Burden instituted a brief, three-question verbal survey that asked a group of patients to rate their doctor on listening, explaining, and being helpful. It turned around and immediately provided that feedback to the frontline caregivers. They also provided training for clinicians in cases where there were areas for improvement. Hospital Consumer Assessment of Healthcare Providers and Systems (HCAHPS) measures—three doctor-focused ratings and an overall hospital rating. Implementing real-time measurement methods may wind up saving the health system a great deal of money since it has been struggling with yearly penalties from CMS' value-based purchasing program. The traditional methods hospitals generally use to gather patient feedback lack an essential feature: timeliness. Mail-in patient surveys are returned long after discharge. Pen-and-paper rounding to gauge patient experience often requires extra steps to enter the data into spreadsheets for analysis. Cobbling together a single meaningful report for staff using these archaic methods can take weeks. Valuable time that could have been spent making improvements fall through the cracks. Not only can it lead to value-based purchasing penalties, it may result in worse patient outcomes. The HCAHPS survey, which is used by CMS for payment adjustment, asks 32 questions to patients recently discharged about their recent hospital stay. It covers issues like doctor and nurse communication with patients, cleanliness, quietness, overall rating of the hospital, and whether the patient would recommend the hospital. HCAHPS data are collected each month by mail or phone up. The survey can take place up to six weeks after discharge. It's aggregated on a quarterly basis. Interviewing or distributing surveys to patients still in the hospital is strictly prohibited. On average, U.S. hospitals will have from $500,000 to $850,000 at risk every year that is directly tied to their healthcare quality and patient satisfaction, according to Press Ganey, the nation's leading patient satisfaction survey firm. But CMS penalties only skim the surface of possible losses that a hospital may incur without timely patient feedback. For example, the Advisory Board Co. estimated that replacing outdated approaches to managing patient experience could have saved a 230-bed hospital system in the Southeast up to $2.3 million. In an era when even much of in-patient care is discretionary and patients often have a choice of providers, a hospital's reputation is more important than ever. Patients who walk out of the building with complaints can voice them with scathing online reviews or blasts on social media – not just in the HCAHPS survey. Such negative word-of-mouth can lead to lower patient volumes and lost revenue. Moreover, the internet makes finding an alternative hospital nearby just a few clicks away. Patients are increasingly willing to go elsewhere for care. Websites like the CMS' Hospital Compare—which publicly reports hospital patient satisfaction “star” ratings and HCAHPS results—give patients ample opportunity to shop around for an institution with better patient experience ratings. “At the core, the focus on patient experience reflects the increasing competitiveness within the provider market,” said Timothy Schulte, director of provider solutions at Avia. In part two, daily monitoring of patient satisfaction hits a stumbling block. Meeri Kim is a freelance healthcare writer based in Los Angeles.